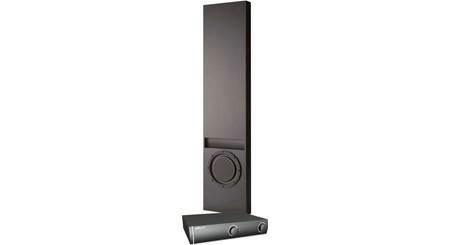 It's easy to see why Polk Audio's décor-friendly CSW100 won the prestigious 2006 Innovations Design and Engineering Award from the Consumer Electronics Association. This subwoofer's clever construction allows for out-of-sight placement in your floor, ceiling, or even a piece of furniture. After it's installed, all you'll see is the included 4" x 14-1/2" grille, which looks like an ordinary air vent. Performance is excellent, too. You get clear, potent bass with movies and music. Feel the deep rumble of the engines in an on-screen car chase, and enjoy richer, fuller sound from your favorite songs. This subwoofer is packaged here with Polk's separate, cool-running digital amplifier that pumps out 500 watts of solid power. An included custom sound-shaping circuit card precisely tailors the amp's output for the CSW100. The resulting bass is deep, hard-hitting, and distortion-free. The amp's standard chassis width lets you stack it neatly with your other audio/video components, or you can hide it away in a cabinet to reduce room clutter. This stable amplifier can also power a pair of the CSW100s for even bigger, stronger bass. Mounting Location: The CSW100 is designed to be mounted between floor or ceiling joists, it can also fit between the tighter joist spacing of QuietFloor or wooden I-Beam construction. 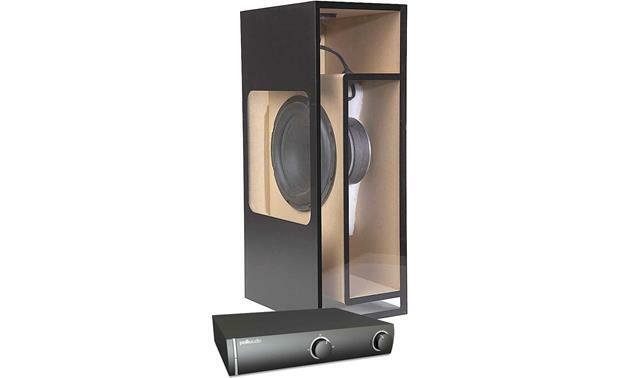 The subwoofer requires joist spacing of at least 13 inches and a minimum depth of 9 inches. 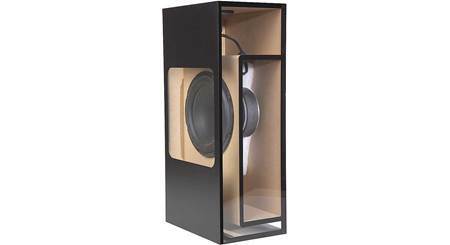 The overall length of the subwoofer is 26-1/4 inches. 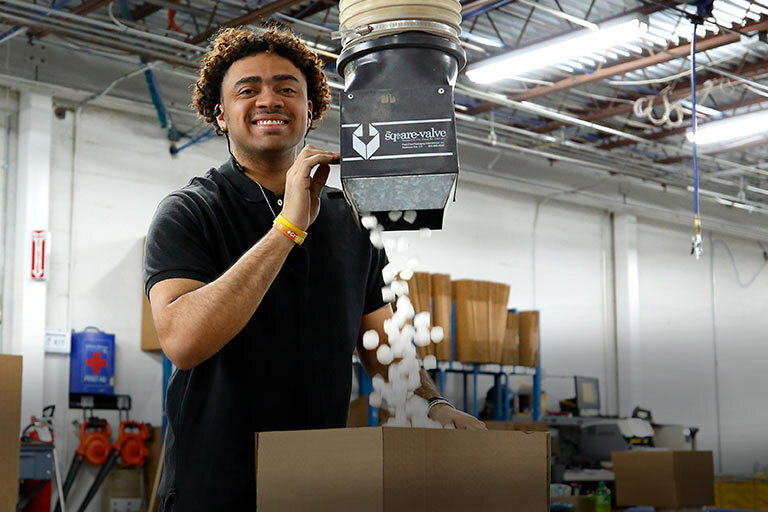 Materials: The CSW100 features a long-throw 10" fiber cone woofer with a rubber surround. Enclosure Construction: The CSW100 has rigidly braced MDF construction for low resonance, rattle-free performance. Slot Vent: The enclosure features an integrated slot vent for deep, driving bass. Grille: The CSW100 is designed to fire through an opening in the floor or ceiling. Once the installation is complete, the opening can be covered with the included 4" x 14-1/2 " grille that looks like an air vent. Isolation Pads: When the enclosure is installed, it fits snugly against one of the floor or ceiling joists. To prevent rattling, two of the isolation pads should be installed between the enclosure and the joist, while the other three isolation pads should be placed on the front panel of the enclosure. Mounting Brackets: The supplied brackets and wood screws allow you to mount the CSW100 to any parallel floor or ceiling joists. 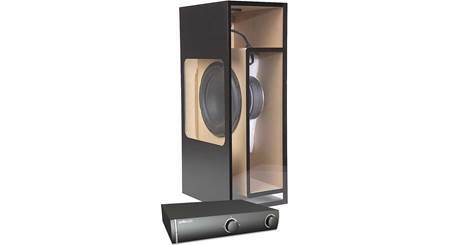 Compatibility: The CSW100 should only be used with the SWA500 subwoofer amplifier. The SWA500 comes with a SPEX Card that configures the EQ, crossover, and power control circuitry to match the CSW100 subwoofer. One SWA500 amplifier can power up to two subwoofers at the same time. Auto On/Off Sensing: In Auto mode, the amplifier automatically turns on when it senses a signal and turns off when no signal is present. 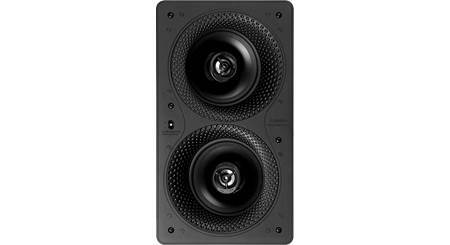 Searches related to the Polk Audio CSW100 Passive in-floor/in-ceiling subwoofer with matching amplifier.